Set your phasers on fun with the IncrediBuilds: Star Trek: U.S.S. 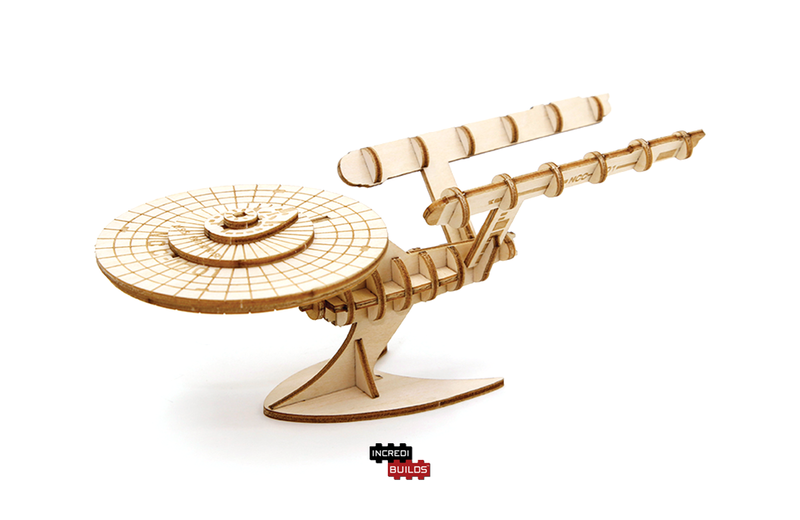 Enterprise Book and 3D Wood Model Kit. The latest release from Insight Editions combines three of my favorite things: sci-fi, model building, and trivia. Written by noted science fiction author Dayton Ward, the 32-page, hardcover book is chock full of fun facts about the U.S.S. Enterprise (NCC-1701). And if filling your head with Trek trivia isn’t enough, the book also comes packaged with a wood model set. A laser-cut, eco-friendly wood sheet includes easy-to-assemble pieces that snap together to form a displayable 3D version of the iconic starship. Also added are step-by-step instructions and colouring and crafting ideas. The Star Trek: U.S.S. Enterprise Book and 3D Wood Model Kit checks in at $16.99 USD and is available from the Insight Editions website or a variety of other online retailers. Nintendo fans can now decorate with power with some officially licensed Classic Nintendo Entertainment Systems (NES) canvas art from ThinkGeek. In Fall 2017, Spin Master will release a re-imagined version of the classic Etch A Sketch, the Etch A Sketch Freestyle.